I am an admitted info addict and history buff. * Growing up in Charlton and going to school in the BHBL school district, I put this small site together as a tribute to my roots. There is a lot of fascinating history that many folks might not be aware of. Ballston Lake, originally called Ball's Town, was named in honor of Rev. Eliphalet Ball. The first settlement was made in 1763 by two brothers named Michael and Nicholas McDonald, who located near the west bank of Ballston Lake. In 1770, Mr. Ball, his three sons and several members of his congregation were induced to settle here from Bedford, N.Y. by a donation of 500 acres of land. It is said, Ball paid the brothers one barrel of rum for the right to name the town after himself. Over time the name was shortened to Ballston. Ballston Lake, was called "Shanantaha" by natives. It was known to early white settlers as Long Lake. Charlton, although known as a farming community, once had eight taverns, two sawmills and two gristmills? A farm set off of Vines Road in Charlton was once called “Wildcat Alley” and the early owner built a mill on the nearby Alplaus Kill. He also ran a sawmill further west on Swaggertown Road. Swaggertown Road was NOT named after a puffy-chested braggart but it was derived from "brother-in-law" in Dutch "zwager"
The short section of Old Stage Rd., from Stage Rd. to the abandoned Little Troy Bridge, was the once the site of several mills. The location was known as Slab Troy (or Little Troy) and during the years from 1820 to 1830, it had a blacksmith-shop, a fulling-mill, and carding-machine, a grist-mill, a saw-mill, a store, a tavern, and three distilleries! Sadly by 1878, not one of these commercial establishments were left. The old school house is now converted to a house [my older sister remembers spending her first year of school there]. The Charlton Girls School was originally started as a "home for wayward and homeless boys". It was called "The Charlton Industrial Farm School for Boys" and it officially opened in 1895. On April 2, 1938 the whole place burned down and it wasn't until 1954 that it reopened again as a school for girls. Have you ever been through this little hamlet? It's a lovely spot and full of old fashioned charm. As the Erie Canal declined in importance, Vischer Ferry became relatively isolated. Because of this, the village preserved much of its nineteenth-century Greek Revival character. There's a great Collection of Historical Photos here (do a search keywords Vischer Ferry) > Example "general store"
Who would have known traveling through the small town that it was also home to the famous Luna Park? From 1906 until 1933, daredevils leaped from a tall tower, carousels, merry-go-rounds, roller coasters, airplane rides and all kinds of amusements buzzed with activity, making Rexford a hot spot to visit in the area. Check out this wonderful collection of photos to see for yourself just how much variety there was. Another interesting item was the McLane Hotel, a stop for stagecoaches and canal boats. John McLane operated it until about 1930. An old-fashioned and extremely weathered building with large galleries on both floors and a cupola at its peak, the strange building was a mysterious curiosity to all who passed by. It was demolished in 1964. It's a shame but the village has all but disappeared. There was a large spice mill on the Farm-to-Market Road in Halfmoon, NY back around 1892 and a Blacksmith and Carriage Shop. I believe the church is still standing. The Town Historain has posted a detailed history of the Grooms Corners Tavern. Alexander Lindsay Glen, a native of Scotland, purchased from the Mohawk people in the 17th century and named his estate Scotia (Latin for "Scotland") after his home country. There was once a place called Glenotia Park on—of course—Glenotia Island! Details: "For sale: an island"
Schenectady's Washington Ave continues thru Scotia (map) because it was once connected by a bridge. It had a streetcar railway as well as a roadway and tolls were collected. More Info on the bridge. The area that is now Schenectady was originally the land of the Mohawk tribe of the Iroquois Nation. When Dutch settlers arrived in the Hudson Valley in the middle of the 17th century, the Mohawk called the settlement at Fort Orange "Schau-naugh-ta-da", meaning "over the pine plains." Eventually, this word entered the lexicon of the Dutch settlers, but the meaning was reversed, and the name referred to the bend in the Mohawk River where the city lies today. The film "The Way We Were" was filmed on location in Schenectady at Union College, and in nearby Ballston Spa. In the antebellum years, Schenectady became a center of abolitionist activities. An Underground Railroad route ran through the area. In 1930, Proctors Theater hosted the first public demonstration of television with the help of General Electric. There are not many cities that have songs written about them but Schenectady is certainly one that has been on the receiving end. The village was first settled in 1771 and was incorporated as a village in 1807. 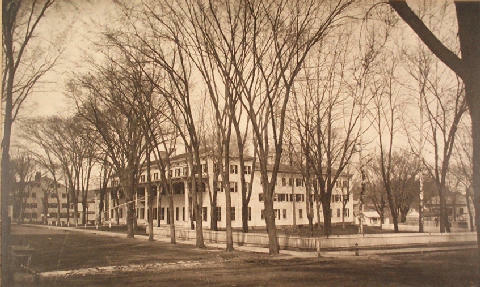 Ballston Spa was once a flourishing resort community in the 1800s. It became one of America's premiere tourist destinations in the early 1800s due to the “healing” waters of several area natural mineral springs. In it's heyday, Ballston Spa's San Souci Hotel was the largest hotel in the United States and one of the largest hotels in the world. Presidents, senators and governors stayed there, as well as many wealthy private citizens. It was soon eclipsed by Saratoga due to a number of factors but mainly: "The springs that promised to be so valuable were lost, according to the story of the older people, by not 'letting well enough alone.' In the attempt to dig them over and retube them, the several veins were lost..."
Ballston Spa is famous for being the birthplace of Abner Doubleday, who is credited for creating the game of baseball. James Fenimore Cooper wrote some of his legendary novel "Last of the Mohicans" while staying in the building that is now the Brookside Museum. Malta got its name from a popular 18th century local malt brewery (hence the name “Malta”)? Is home to Luther Forest, one of the largest pine forest plantations in the northeastern U.S. This forest, which was originally just 110 acres, grew over time to include 7,000 acres. Thomas C. Luther (born in nearby Ballston Spa) created the Luther Forest as a managed forestry program in 1898. The Malta Test Station, was a former U.S. Army fuel and explosives testing facility used to test rocket engines, new fuels and explosives. The Malta Test Station has been used by various government agencies including the U.S. Department of Defense, National Aeronautics and Space Agency (NASA), the U.S. Department of Energy, and the New York State Energy Research and Development Authority (NYSERDA). It was operated by General Electric until 1984 when the Wright-Malta Corporation took over occupation and continued to test fuels and explosives for the U.S. military and the U.S. Department of Energy until 2005. The site and surrounding area has since been transformed into the Luther Forest Technology Campus, home to a new chip fabrication plant owned by Global Foundries. The Luther Forest is now the Luther Forest Technology Campus or LFTC, a 1,414-acre (573 hectares) site specifically designed for semiconductor and nanotechnology manufacturing and other innovative technologies. See Map. Still one of the most natural, picturesque and historic sections of Malta, the campus area has carefully balanced nature and technology setting aside areas for recreation and preserving much of the original dense forested ambiance. You can hike in the 100 Acres Park or mountain bike nearby in the STEP Trails.